Life is full of surprises. We all like to believe in a world of fairytales and happy endings, but the real world, along with the works of fate, always has other plans for us. This type of action or event is referred to as irony. You may also see examples of sarcasm. Irony teaches us that not everything is what it seems. We could expect one thing to happen, but something completely opposite may take place. 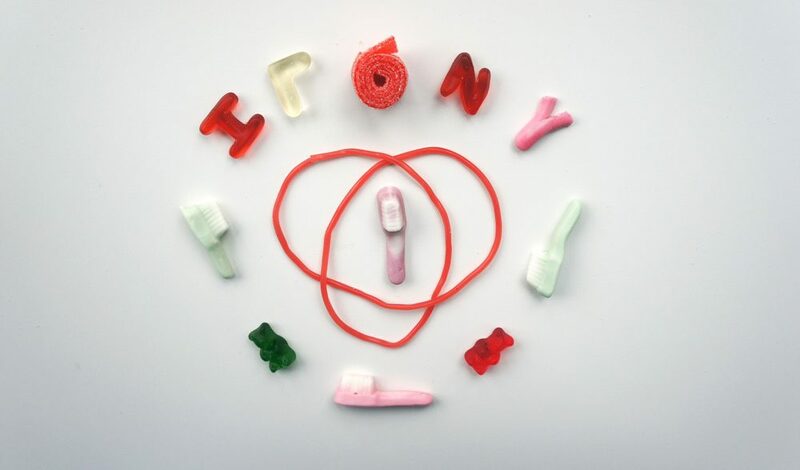 But irony can also be a broad topic to take on, which is why it is categorized into three types: verbal, dramatic, and situational. In this article, we will discuss the definition and purpose of situational irony in both literature and real life. You may also see personification examples. The situational irony comes to play when an audience expects one thing, but an entirely different outcome transpires. These unforeseen circumstances often change a reader or viewer’s perception of the given story. It could either be humorous or tragic in nature. Along with other types of irony, authors use situational irony to enhance the overall theme and flow of a story. This keeps readers or viewers engaged, building a deeper connection between the audience and the characters involved. Irony also helps make their narratives seem more realistic in the eyes of an individual. For instance, no matter how much we plan something out, there’s always a chance of things going the opposite direction. Situational irony simply portrays situations that are surprising yet relatable to the complexities of real life. Situational irony occurs when the final outcome of a story or scene contradicts the expectations made by an audience. This appears in movies, novels, and other forms of literature, as a good plot twist is what makes things all the more interesting. While situational irony is quite common in different genres, it is most prevalent in thrillers and mysteries. You may also see imperative sentence examples. The reality-vs-expectation scene in the film shows Tom’s thoughts on how he assumes the night will play out. In hopes of rekindling his relationship with Summer, Tom imagines him and Summer having an amazing night with each other. They meet, they laugh, they kiss, and everything goes exactly as Tom hoped it would. As the two scenes play out on screen, viewers are given a glimpse of how everything turns out differently than what Tom had expected. Instead of getting another shot at romance, Tom spots Summer’s engagement ring, which then leaves him in a state of misery and depression. You may also see exclamatory sentence examples. There are seven books in the Harry Potter series. And in those books, Voldemort desperately tries to track down and kill Harry in any way he can. But with his clever mind and faithful companions by his side, Harry is able to conquer Voldemort’s attempts to kill him. It isn’t until the end of the seventh book that readers find out that the only way for Harry to defeat Voldemort is if he sacrifices himself to the Dark Lord. Through this act, Voldemort’s soul that lives inside of Harry may be destroyed. You may also like appreciation speech examples. There’s no doubt author J.K. Rowling has done a successful job in creating a plot twist that no one would have expected from the very beginning of the series. By using situational irony, audiences are greeted with a rather pleasant and jaw-dropping surprise to their favorite book of witchcraft and wizardry. You may also see symbolism in short story. There are various scenarios that portray situational irony in this famous TV sitcom. For one thing, the romantic relationship shared by the main characters is hard to miss. Let’s take the airport scene in Season 2 for example; Rachel finally finds out about Ross’s feelings for her after Chandler’s accidental slip up. Because of this, Rachel rushes to meet Ross at the airport to declare her sentiments towards him as well. However, as the forces of the universe work its magic, Ross arrives from China alongside his new girlfriend. You may also see an oxymoron in sentences. From another person’s perspective, the irony of the situation raises a level of both disappointment and frustration. While every one of us assumed a happy ending would come out of it, the writers of the show thought otherwise. You may also see persuasive writing samples. The leading character of the story, Mathilda, borrows an expensive necklace from a wealthy friend but ends up losing it. In an attempt to replace the necklace with a new one, she and her husband go through serious financial woes in the process. A couple of years later, Mathilda comes across her friend again, only to find out that what she presumed was a costly necklace turns out to be a mere piece of artificial jewelry that was used as a costume. You may also see metaphors and similes. The Story of an Hour is a famous tale that depicts situational irony by the very end. In this short story, Mrs. Bentley learns that her husband has died due to an accident. She then lives her life to the fullest, contented by the freedom brought with no restrictions. However, at the end of the story, her husband comes back alive and well. And upon seeing his face, she dies from shock. You may also see an alliteration in poetry. 1. Ashley woke up later than usual and thought she was going to be late for school. After rushing around to get ready, she realized it was still Sunday. 2. A veterinarian works around the clock to take care of animals in need. However, his own pet animals always seem to live a shorter lifespan than most. 3. A lawmaker breaks the law. 4. Emily gets up extra early so she could get to class on time. When she arrives, she finds out that her professor is absent. 5. Janice has been saving up all summer to buy a golden necklace for herself. Just hours after she buys the necklace, her boyfriend gets her one as an early anniversary gift. 6. A girl from school makes a lengthy Facebook post about how social media is a waste of time. 7. A marriage counselor files for divorce from his wife. 8. Zyrrah works as a chef at a famous restaurant but only gets to eat one meal per day. 9. A teacher fails a test conducted by the school board. 10. The little boy climbed the tree to help get his neighbor’s cat down. But by the time he reaches the top, the cat is already on its way down. 11. A bank robber gets mugged in a nearby alley. 12. The woman seeks shelter at a waiting shed to avoid getting wet by the rain. As she waits for the rain to stop, she gets soaked when a car speeds past a puddle in front of her. 13. An actor who’s famous for his roles in movies with speeding cars and death-defying stunts gets into a car accident at a charity event. 14. Lorenz skips his History class to study for another class, only to find out that the teacher decided to postpone the exam. 15. The smartest student in the class is caught cheating during a test. Situational irony plays a distinctive role in literature. It occurs when an action or event garners the opposite result from what was expected from it. Not only does it emphasize important scenes in a story, but it also adds a creative twist that could either result in a comic or tragic end in a plot. This helps an author make a story a lot less predictable than what readers or viewers would expect. Like dramatic irony and verbal irony, situational irony creates a bridge between fiction and reality for a given audience to enjoy. It is one of the many literary tools and rhetorical devices used to turn a dull piece of writing into something extraordinary.